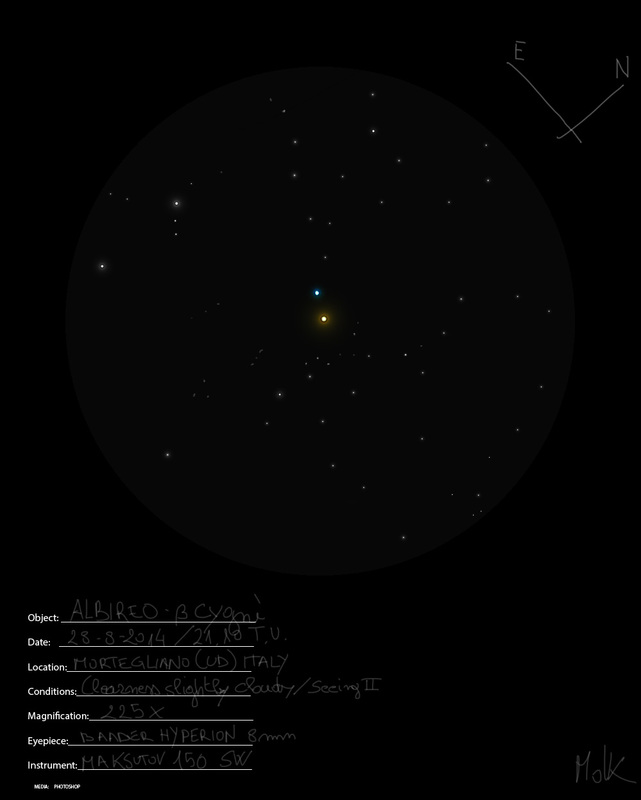 In a slighly cloudy evening on 18th September, searching holes through the clouds, I have been able to observe one of most famous double star Albireo or beta Cygni. The seeing was very good and giving me a stationary image. I have wanted o make a sketch of this spectacular object and its amazing colour contrast. This sketch reminds me of my last observing night, looking for the brazilian comet Jacques close to Albireo. I couldn’t find the comet, but had a nice view of this impressive binary system. Thanks for registering and sharing. I never tire of seeing Albireo. You have represented it nicely here. Perfect rendition, the best I’ve ever seen.